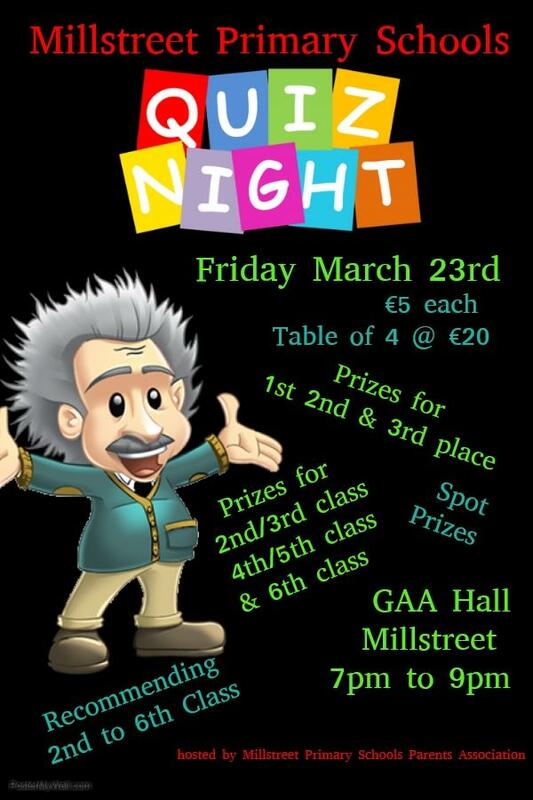 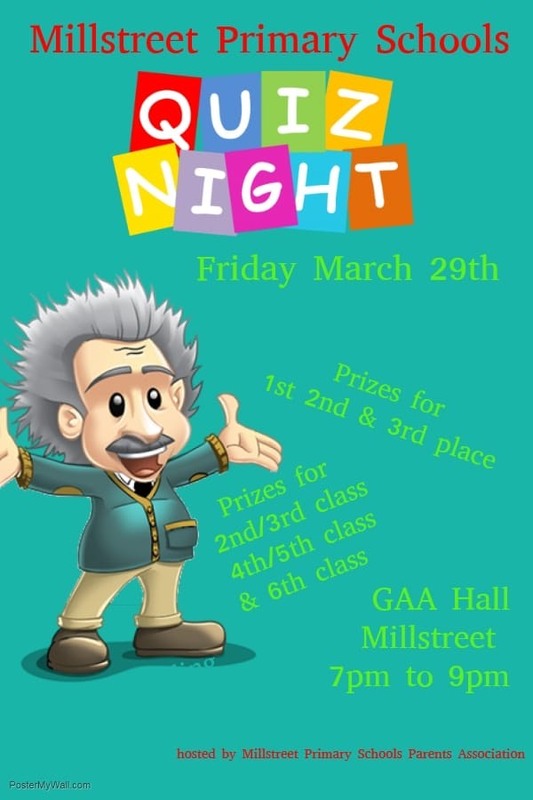 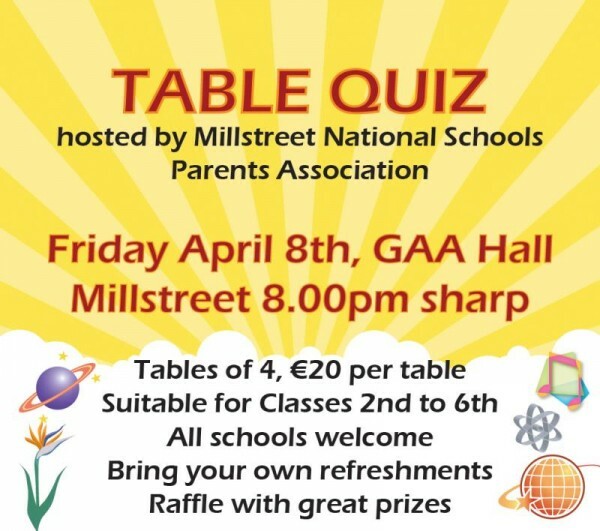 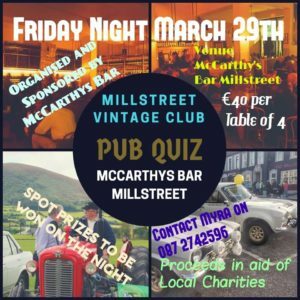 Annual Table Quiz on tonight Friday 19th April at 8.30 pm. 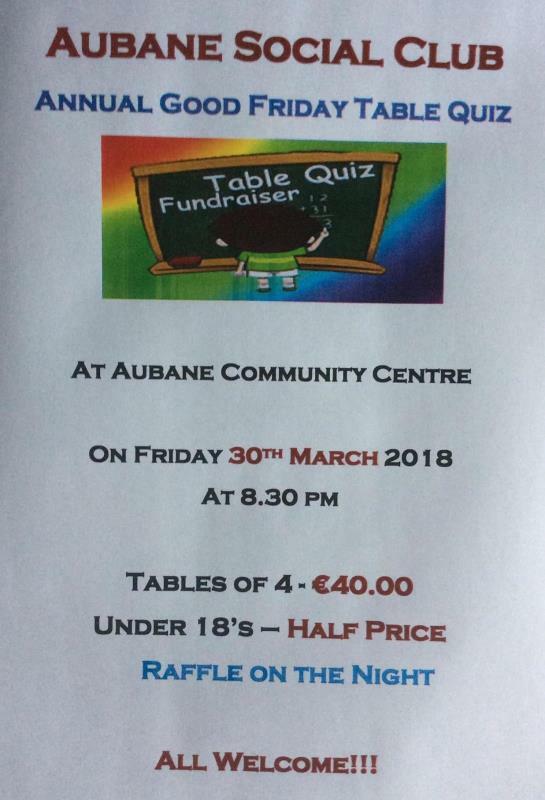 Table of Four 40 Euro, Students/Under 18 half price. 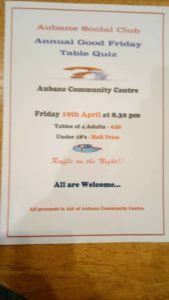 Raffle also. 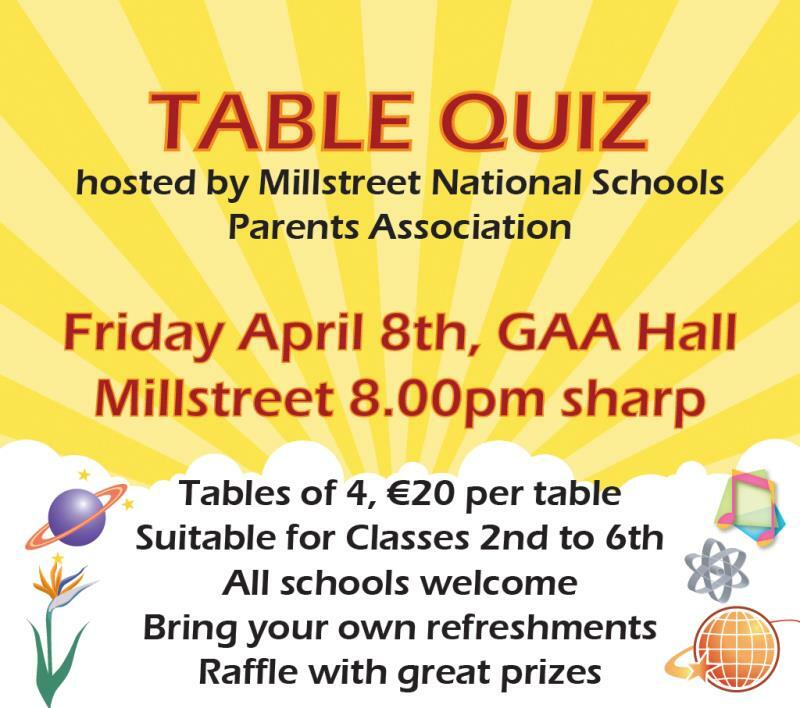 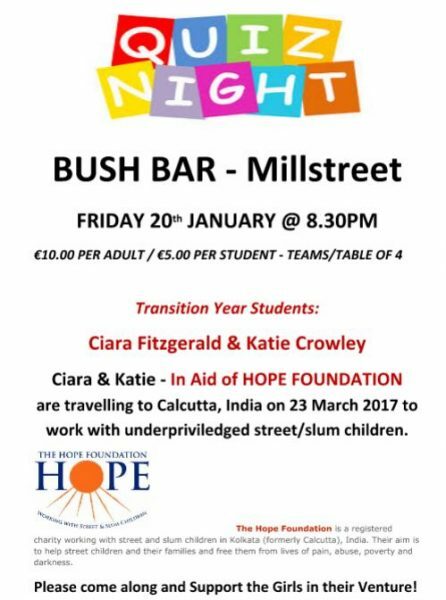 National and Secondary School Children welcome. 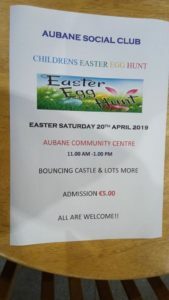 Easter Egg Hunt on tommorrow Saturday 20th April 11-1 pm. Children 5 Euro. 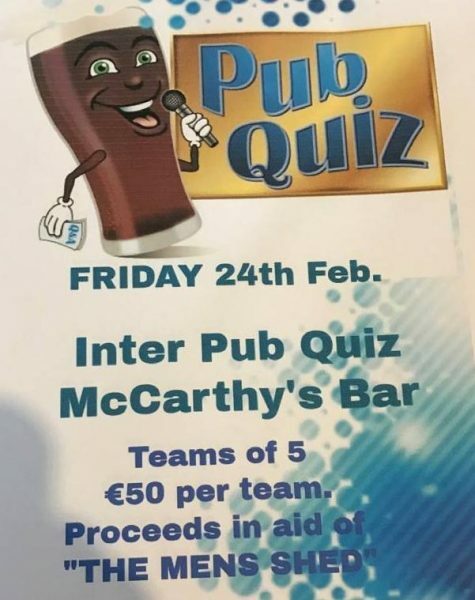 Great morning guaranteed. 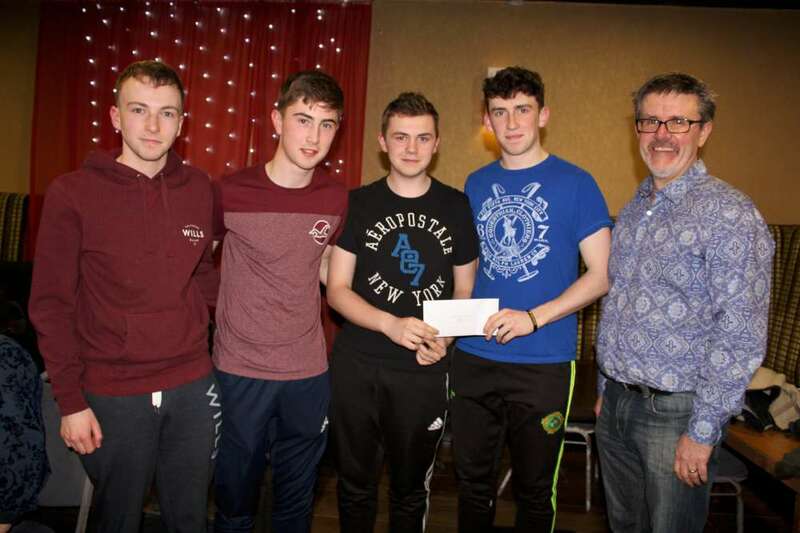 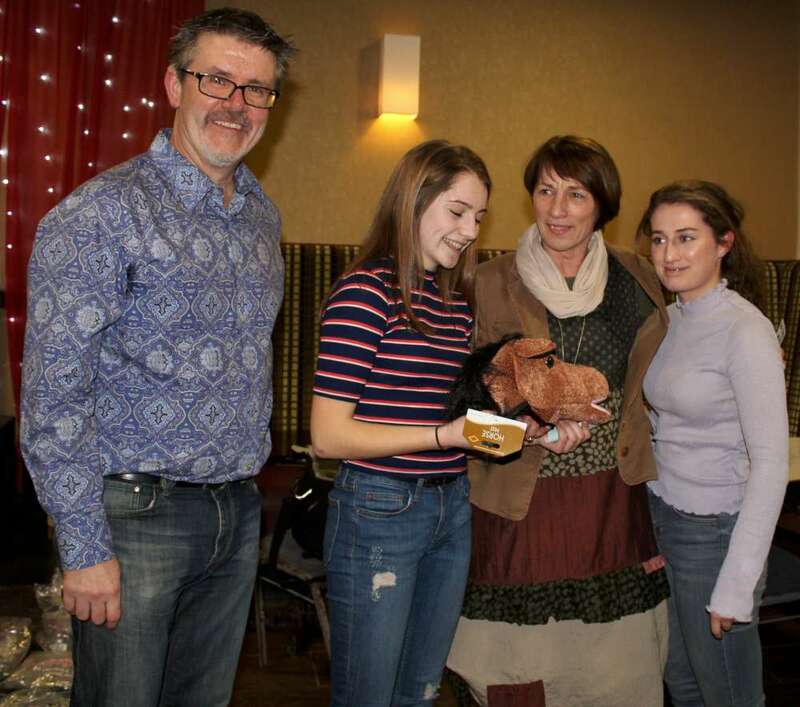 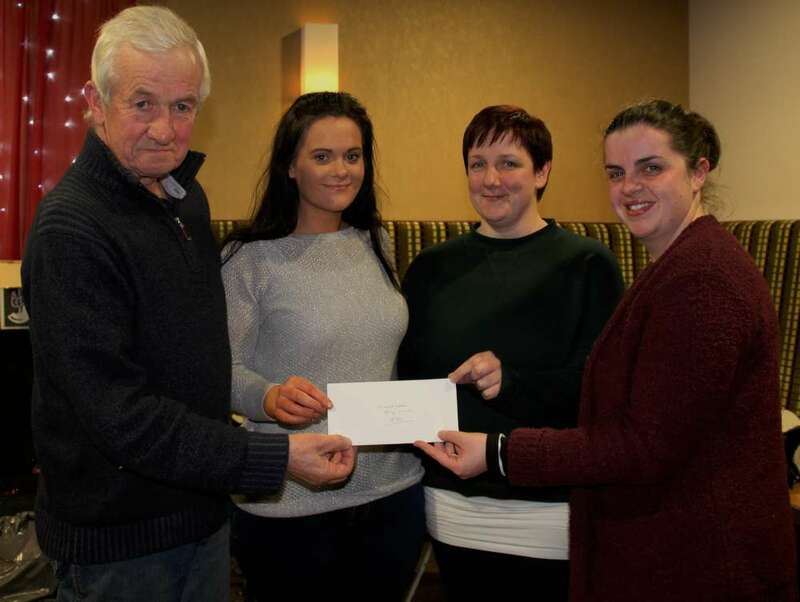 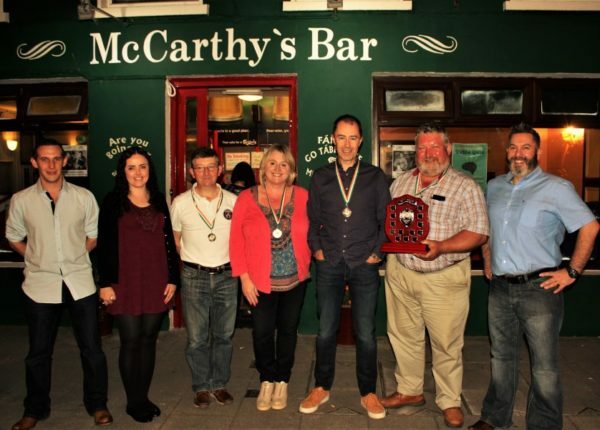 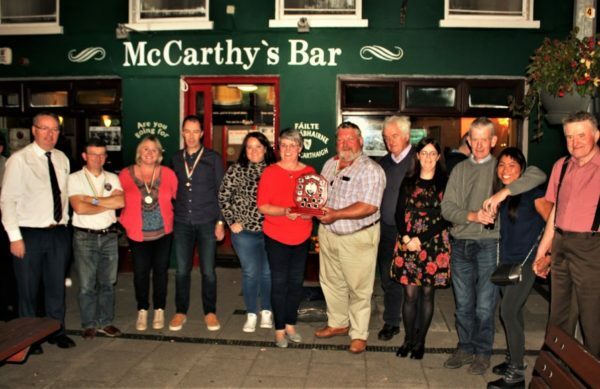 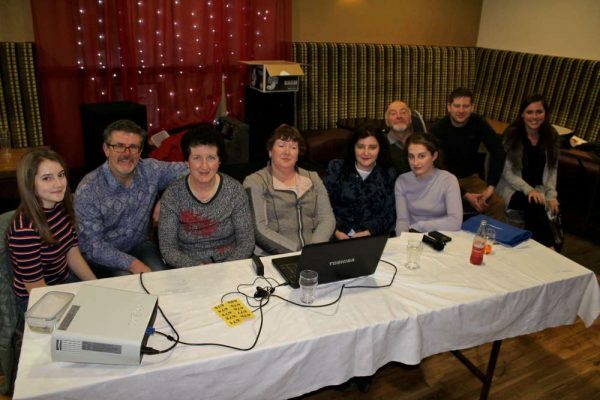 Table Quiz Winners with members of the Guiney Family. 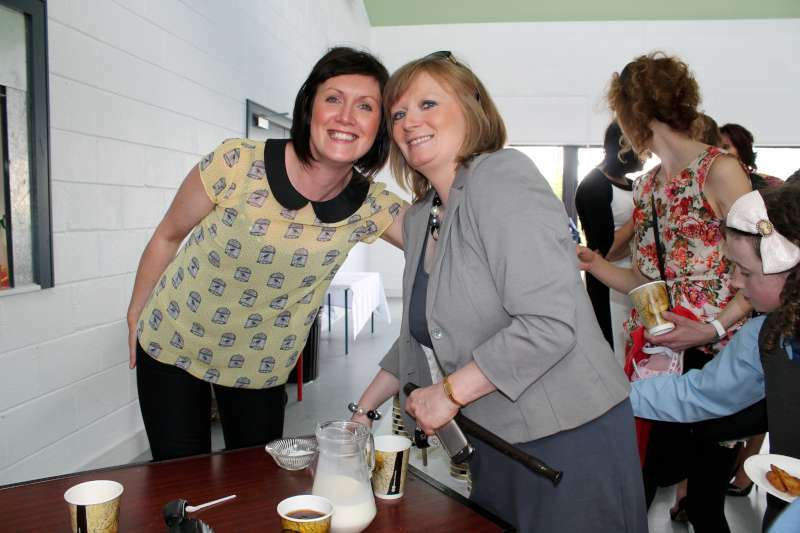 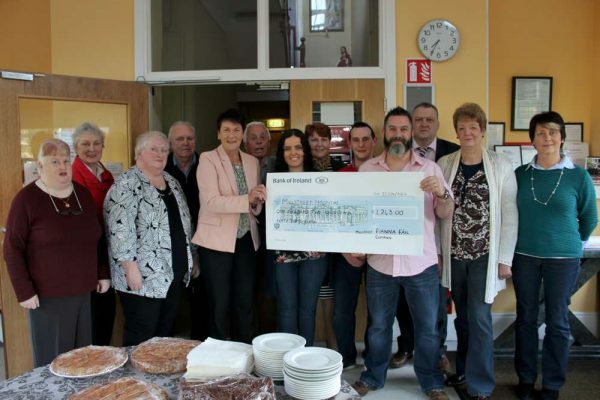 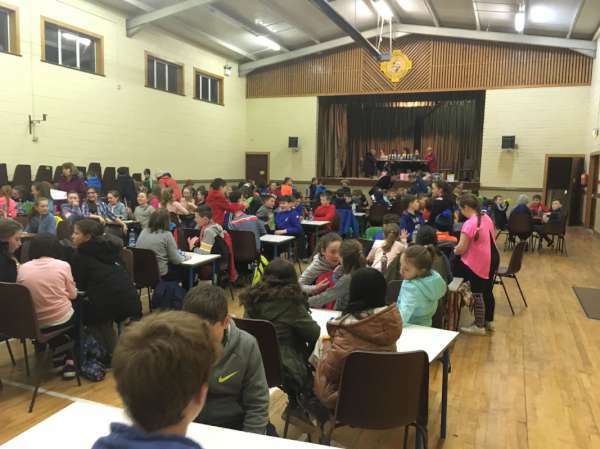 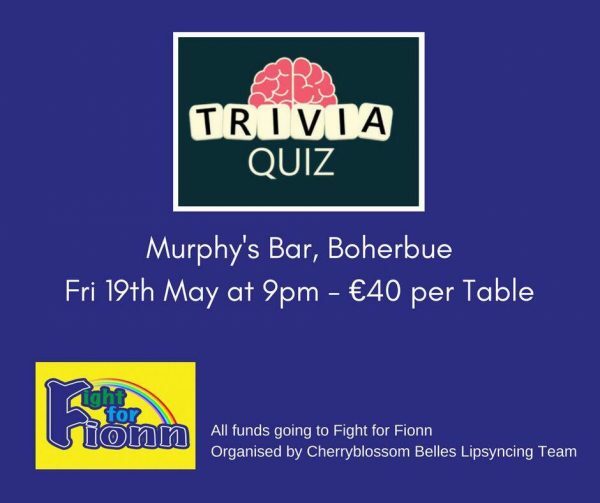 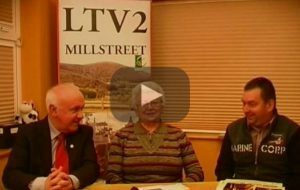 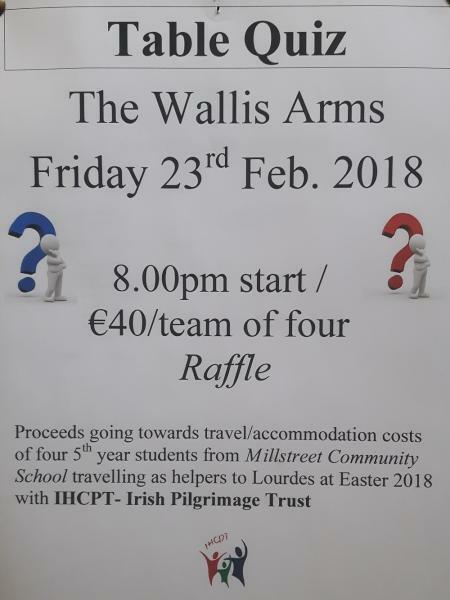 Lourdes Table Quiz – Thank you! 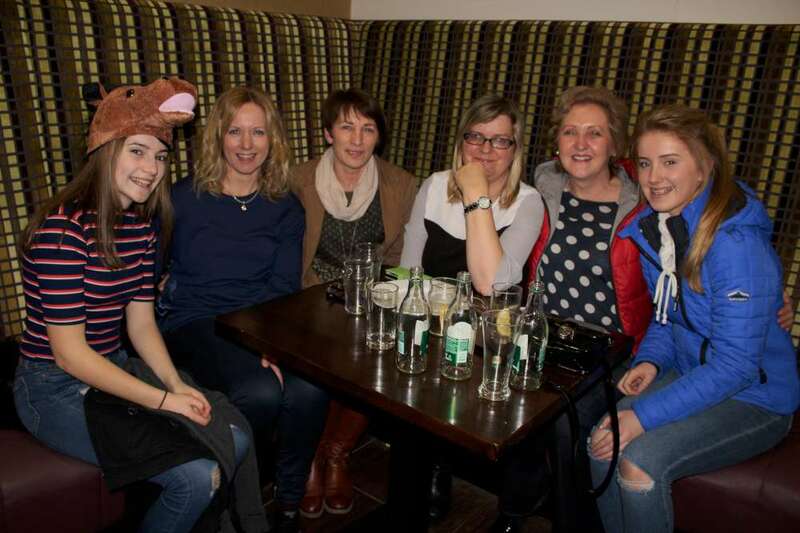 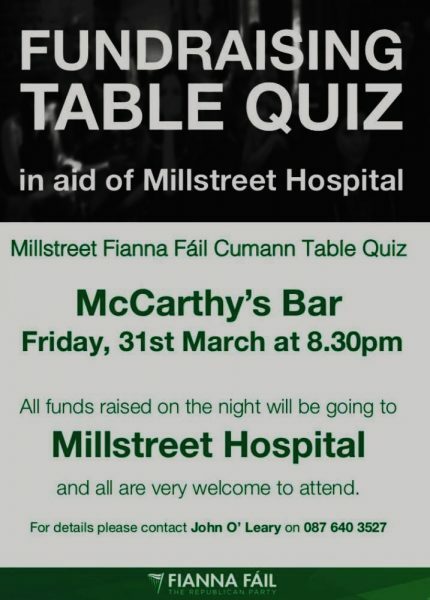 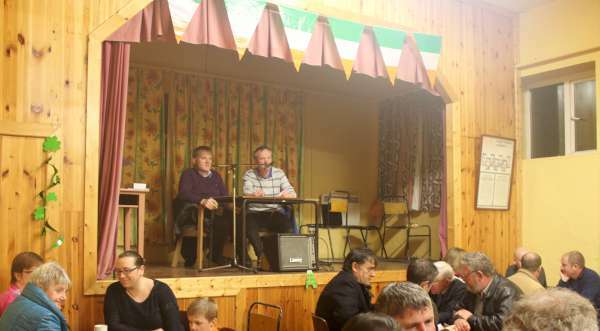 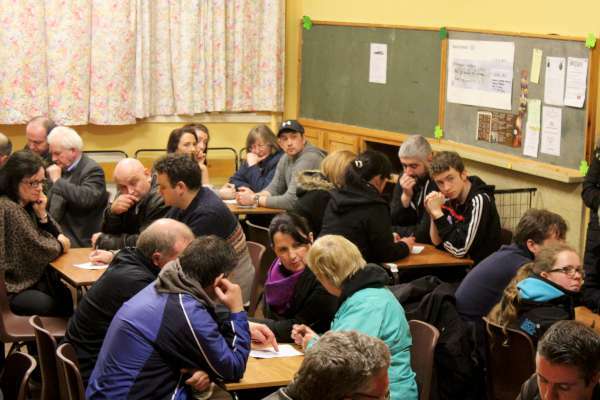 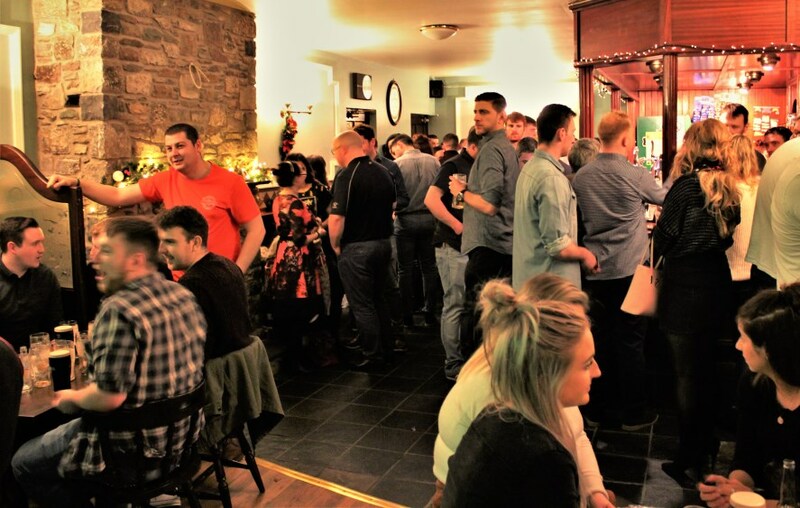 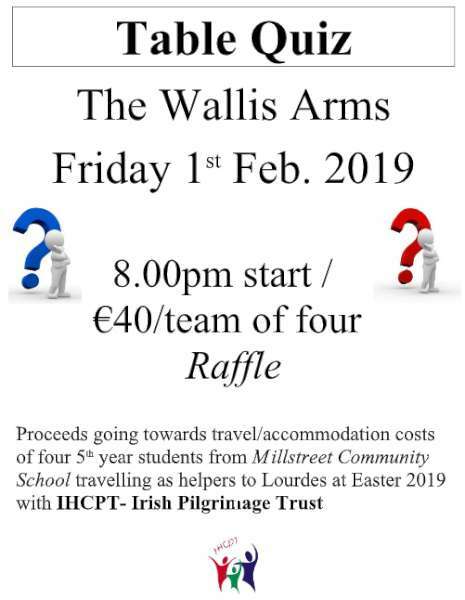 Thanks to everyone who supported the Table Quiz held in The Wallis Arms on Friday 23rd February. 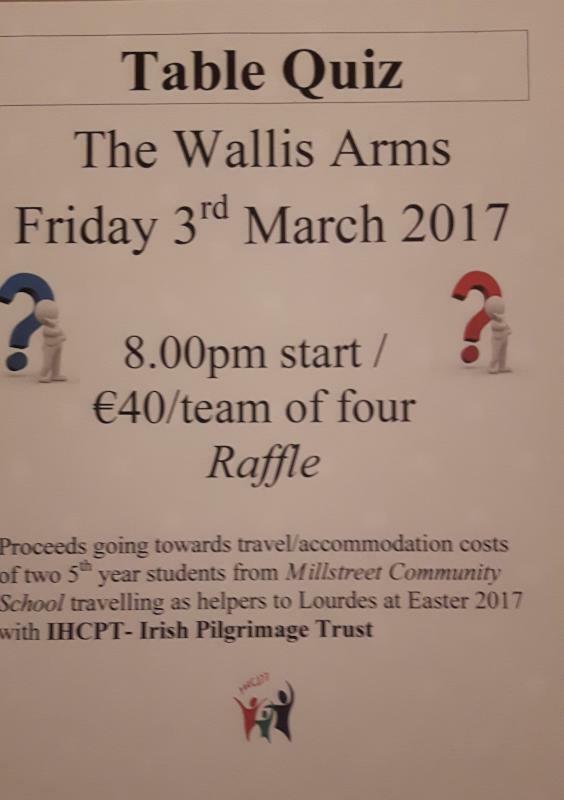 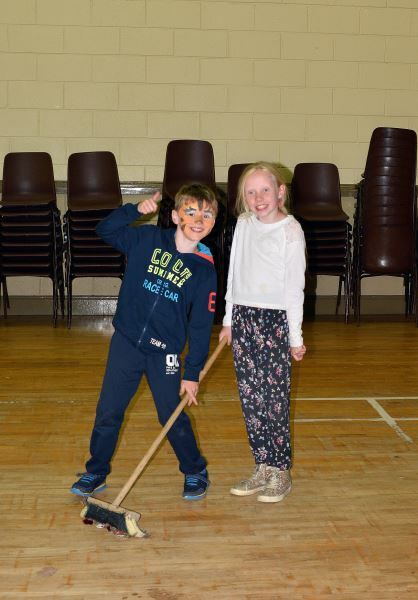 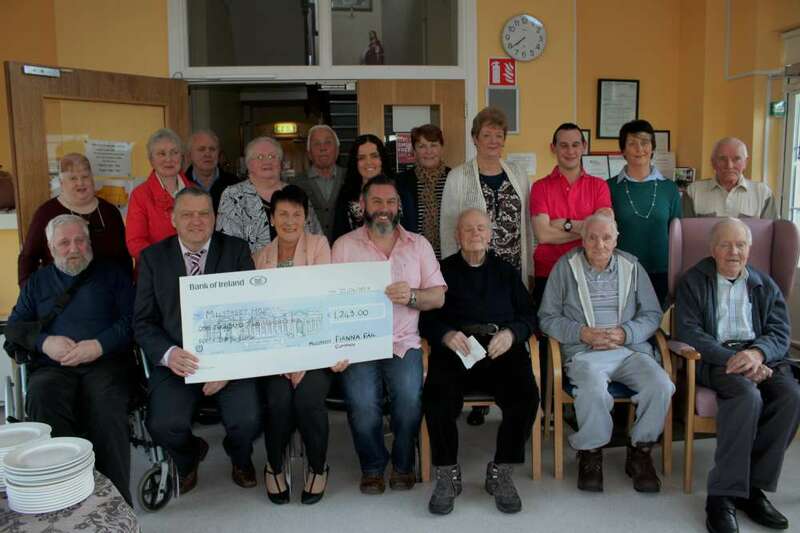 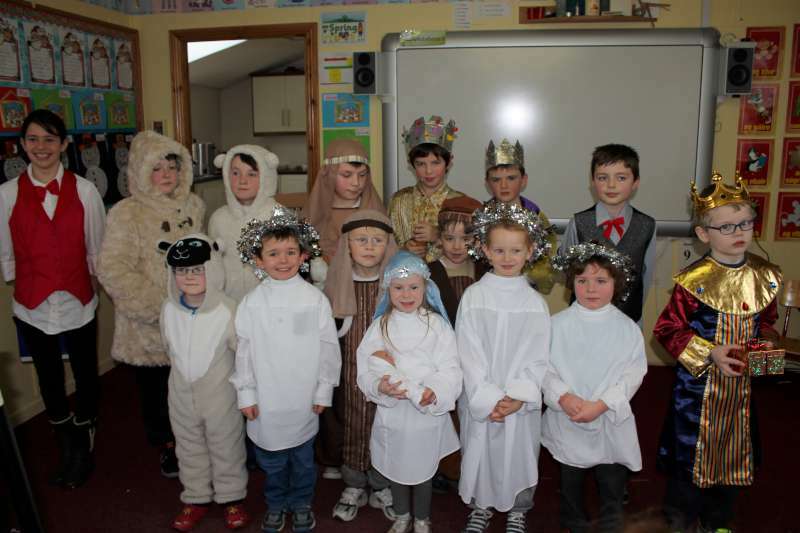 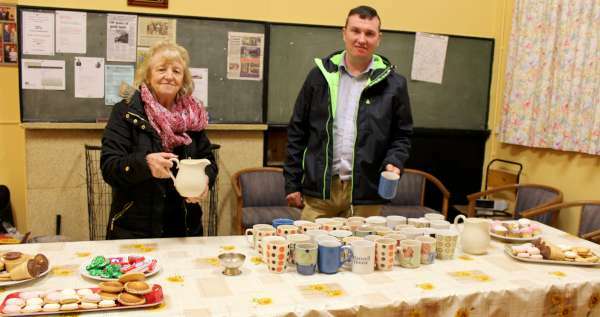 It was in aid of the four 5th year students who will be going to Lourdes as helpers at Easter with the Irish Pilgrimage Trust. 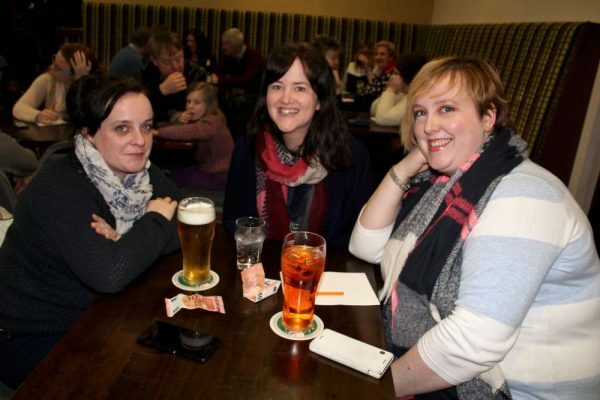 It was a most enjoyable night. 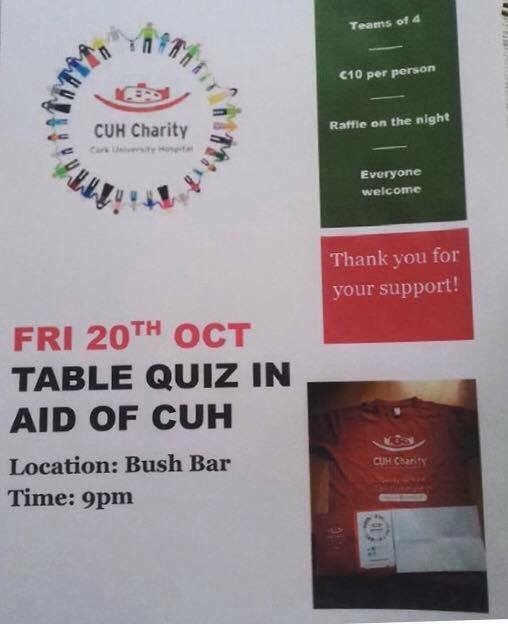 A big thanks as well to Bernard Murphy for setting the questions and to all those who helped run the quiz. 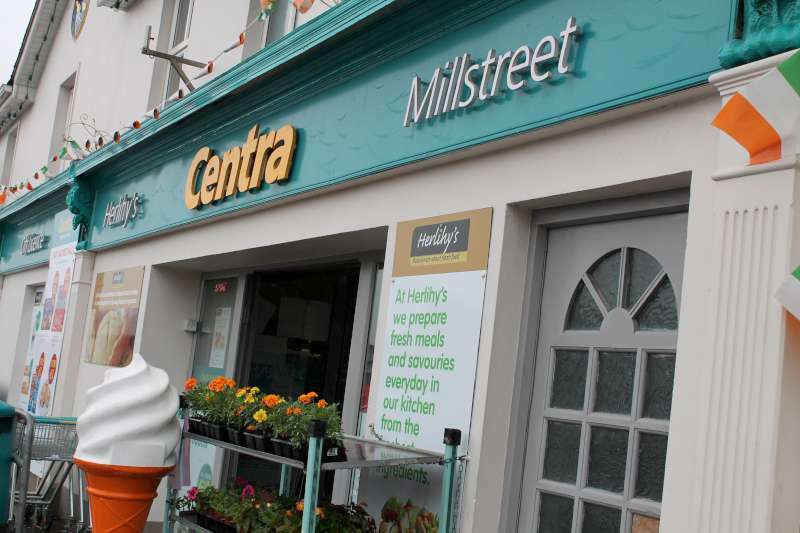 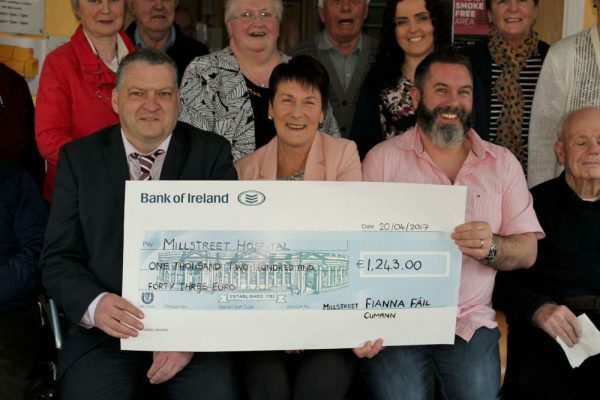 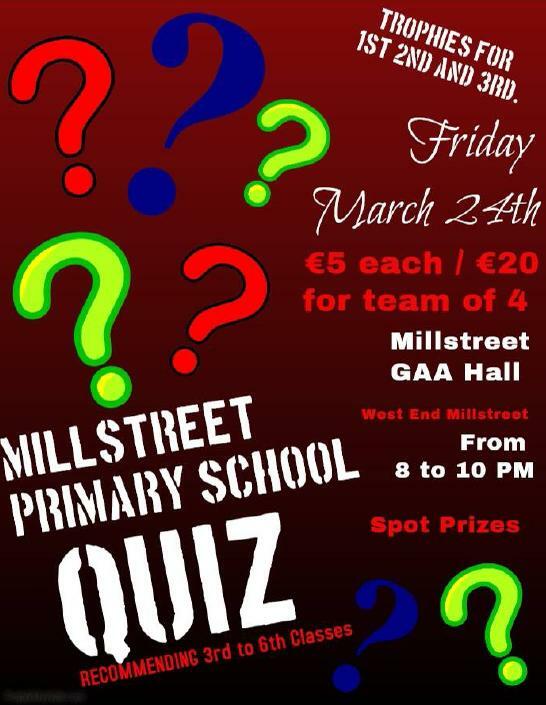 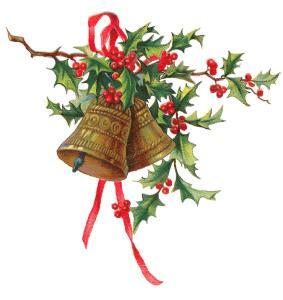 Corkery’s bar annual Stephens Day quiz will be in aid of Millstreet Community Hospital and The Cope Foundation.